The most striking thing about Sprint’s upcoming Aquos Crystal smartphone only becomes clear when you turn its camera on. That’s when its bezel, the frame surrounding the display, becomes almost invisible. Call it a trick of the eye, but when the image from the 8-megapixel camera sensor matches the background almost perfectly, it’s very hard to notice those few millimeters surrounding the display. The edge-to-edge “borderless” display is the phone’s biggest selling point. At times it seems like you’re holding an electronic window instead of a slim phone. With the camera off, however, the screen real estate doesn’t look all that different from a garden-variety Android smartphone. But the Aquos Crystal, manufactured by TV maker Sharp, also has a design that’s a step up from the plasticky feel of something like a Google Nexus 5. The back of the phone, available in white, black, pink or blue, has a slightly dimpled surface that provides a satisfying texture when hefting the handset’s 140 grams. The 5-inch, 1,280 x 780 pixel high-def display is eye-popping and makes navigating Android Kitkat 4.4.2 a snap. With a function called Clip Now, you slide a finger across the top and get a screenshot that comes with its own URL for sharing images online. It’s also got a 1.2 GHz quad-core Qualcomm Snapdragon processor, 1.5 GB RAM, 8 GB ROM and a 2,040-mAh lithium-ion battery that Sharp says can last up to three days. The phone has surprisingly good sound, thanks to Harman Kardon Clari-Fi technology that’s designed to restore compressed audio to its original state. Sharp's Aquos Crystal smartphone, which has a display with a very thin bezel, is being launched by SoftBank in Japan and Sprint in the U.S.
Sprint customers in the U.S., though, will be deprived of one of the best things about the Aquos Crystal—the free Harman Kardon Onyx Studio wireless Bluetooth speaker that’s only being offered to users in Japan. This pizza-sized speaker has slick circular lines and a powerful bass. While too bulky to carry around, it’s a great inducement to Japanese who are on the fence when it comes to changing phones. 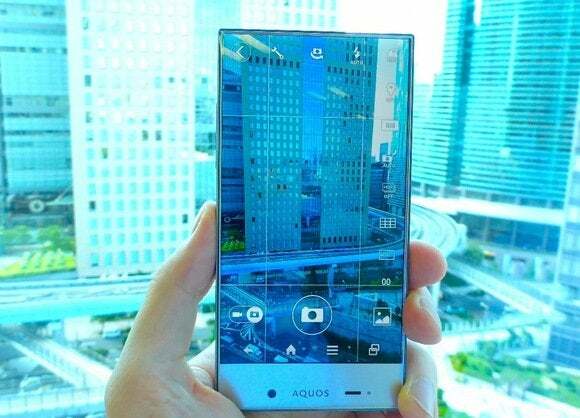 The Aquos Crystal launches in Japan on Aug. 29 at SoftBank Mobile stores, with discounts offered to those switching from rival carriers NTT DoCoMo and KDDI. 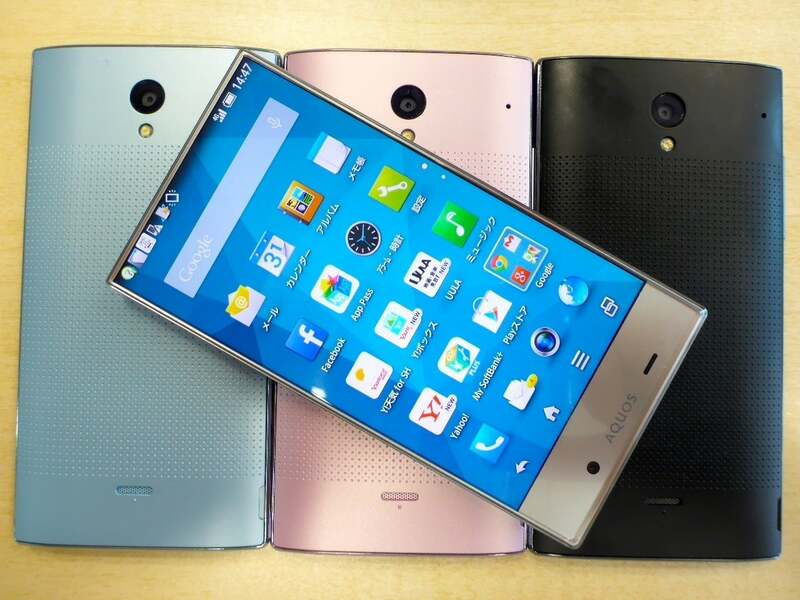 SoftBank is offering the phone for free to new customers who sign two-year contracts. Sprint did not immediately reply to a request for pricing information. “Because this is a handset for the SoftBank Group and not just SoftBank Mobile alone, we’re able to get some economies of scale,” a SoftBank spokesman said, adding that SoftBank and Sprint have over 85 million subscribers combined. While SoftBank, which acquired Sprint last year, isn’t giving U.S. customers a bundled speaker, they will at least get App Pass, a subscription service that gives customers popular apps and games for a monthly fee. Sprint is offering App Pass for $4.99 per month. Users get free access to popular apps and games across two devices as well as $5 credit every month for in-app purchases. Under its new CEO Marcelo Claure, Sprint is pinning at least some of its hopes on the Aquos Crystal as it tries to improve its competitiveness. It lost 220,000 subscribers in the second quarter and T-Mobile USA may soon have more customers, according to analyst Chetan Sharma. Since it abandoned its bid for T-Mobile, Sprint has refocused on aggressive pricing plans. 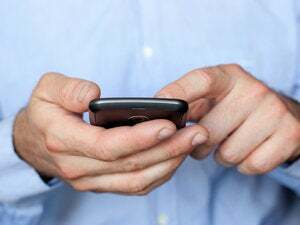 On Monday it announced shared data plans that offer double the high-speed data for the same or lower price compared to AT&T and Verizon Wireless. Updated August 20 with a video report from IDG News Service.